In spite of some problems, the first episodes of Season 5 make a good impression, forecasting an interesting and emotional season with more bloody battles, intrigue and new locations. “The King is dead. Long live the King.” These are the ominous words of new character, Bishop Heahmund (Jonathan Rhys Meyers), when he discovers the crown of Wessex and Mercia has passed to the prince Aethelwulf. The season premiere divides between several stories, splitting time between the sons of Ragnar, Bishop Heahmund and Aethelwulf, Lagertha’s conflict with King Harald, and Floki’s journey into the unknown. Here lies the first problem – not enough time is awarded to each chunk of story. For instance, while Floki spends more time on screen, the sons of Ragnar are barely present when they should play a major role. Viewers can expect that the whole season is going to be more about the sons of Ragnar – Ivar, Ubbe, Hvitserk and Bjorn, and they will finally get a chance to spend some more time with them and find out if they are really sons of their father (except for Bjorn who we already know better). Unfortunately, after the premiere episodes, it can still be said that there is the same problem like in Season 4. They are not given enough time to enrich their characters, change our perception of them from the last season and prove that they can be an important part of the show. The actors who play Ubbe (Jordan Patrick Smith) and Hvitserk (Marco Ilso) don’t do a bad job (they’re a little sluggish, but can behave like true Vikings), nonetheless their heroes are still presented superficially. We don’t know much about them and it is difficult to establish emotional relations with both of them when their characters are just uninteresting and bland. As far as Ivar is concerned, creators try to develop his character more and want to persuade us how much cruel and unpredictable he is, but in the end, it is unbelievably done. Besides, the actor (Alex Hogh) creates partly his own character and tries to pattern himself too much on Ragnar when he could perform better without doing so. However, the situation may change in the next episodes. Bishop Heahmund, on the other hand, is absolutely the advantage of these two episodes. We can see the man who is a religious fanatic ready to kill all Vikings to protect Christianity and isn’t going to compromise. Apart from that he is not only devoted to God but also dedicated to the cause, and we know something else. Even though he’s a bishop he is able to lead the army what makes him a warrior as well as a religious fanatic and creates a dangerous mix. Perhaps viewers will get the next great villain like Jarl Borg from the beginning of the show. After what we had an opportunity to see from Meyers in The Tudors, 2007-2010, (such a charisma!) I believe that. While sons of Ragnar don’t appear in many scenes in the premiere episodes, Lagertha and her conflict with King Harald plays a more significant role in them. It is led interestingly, however, there is some stupidity in the Lagertha’s decisions, that I would not expect of her, and in the situation when suddenly Harald escapes and no one sees anything until they’re sailing away. The other minor problem is the banality of one scene with Alfred and Aethelwulf. The Vikings’ creators have sometimes used fantasy elements and added some of this genre’s vibe to the show with success, but here they went too far making the scene predictable and even funny. The last thread belongs to Floki and his journey wherever the Gods will take him. It’s the most unclear element of the story and viewers will probably find out something further into the season. Does Floki’s leaving mean he won’t appear any longer in other Vikings episodes? Possible. His journey has a special vibe and is interesting mainly because we can just speculate so far about where he is (in Ireland?) and what he is going to do next. 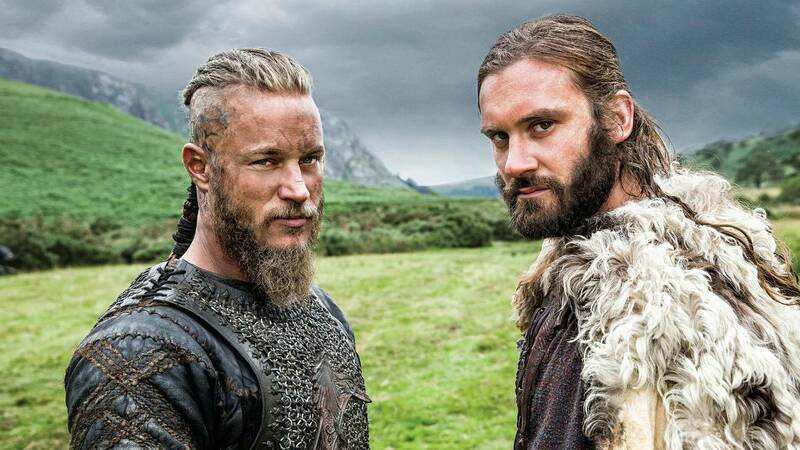 In spite of some downsides the first episodes of Season 5 make a good impression and announce an interesting and full of emotions season with more bloody battles, exciting intrigues and new, undiscovered by Vikings places. Let’s hope that among all those great things there will also be some improvement of sons of Ranger characters who may play significant roles in the upcoming episodes. A Film student. Not only a big movie buff, but also a huge fan of The Witcher book series and other fantasy books. Also a big fan of a video game The Witcher 3: Wild Hunt and a Total War game series. In spare time, he likes to listen to some good folk/folk metal music and film music.